A dark and decadent Body wrap containing Cocoa Seed Butter, Seaweeds and Dead Sea Salt extracts perfectly combined to nourish, hydrate, refresh and stimulate the skin. 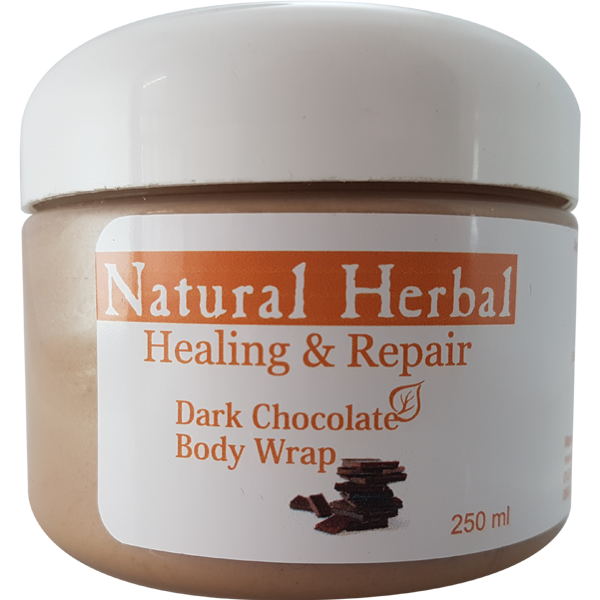 Healing & Repair Range Dark Chocolate Body Wrap is saturated with nourishing Coconut Oil which improves cells rejuvenation while hydrating and softening the skin. Cocoa Seed Butter has been added to hydrate and nourish the deeper levels of the skin as it is high in fatty acid content. Cacao Powder containing antioxidant properties further reducing toxins within the skin while Seaweed Extracts reduce overall dryness. Dead Sea extract comprising of an array of essential minerals stimulating the skin cells resulting in a smooth healthy glowing skin. Apply to cleansed skin, leave on for 15 to 20 minutes and remove with lukewarm water and a soft sponge. Leaves the skin feeling soft, supple and refreshed with a healthy glow.